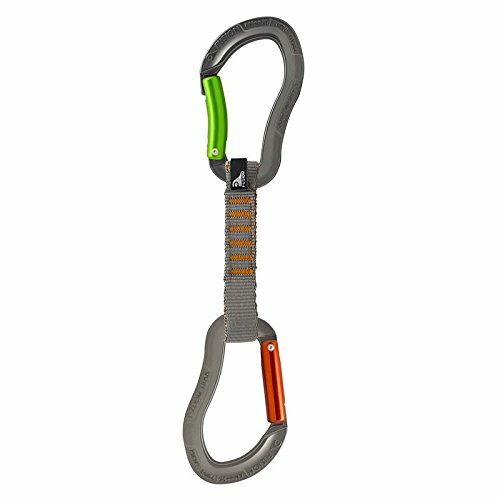 Techno Wave Quickdraw St/Bg-11Cm The Perfect Sport Climbing Quickdraw Ergonomic Techno Wave Carabiners (1 Bent Gate, 1 Straight Gate). Key Lock Straight Gate Makes Cleaning On Overhanging Routes Quick And Easy, Bent Gate Provides Smooth And Fast Clipping On The Rope End. Connected By An 11Cm Or 20Cm Long, 16Mm Wide Nylon Runner. Available In A Variety Of Colors.